Ok, just kidding, but I thought that the awards part of the Oscars, is the biggest part even compared with the red carpet. So how could you have an Oscars party, without the awards? But we can’t have best motion picture, or best actress because well, there won’t be any famous directors or actors at this party! And receiving an award like that wouldn’t feel like much of an achievement and the “trophy” would just get thrown out anyway. 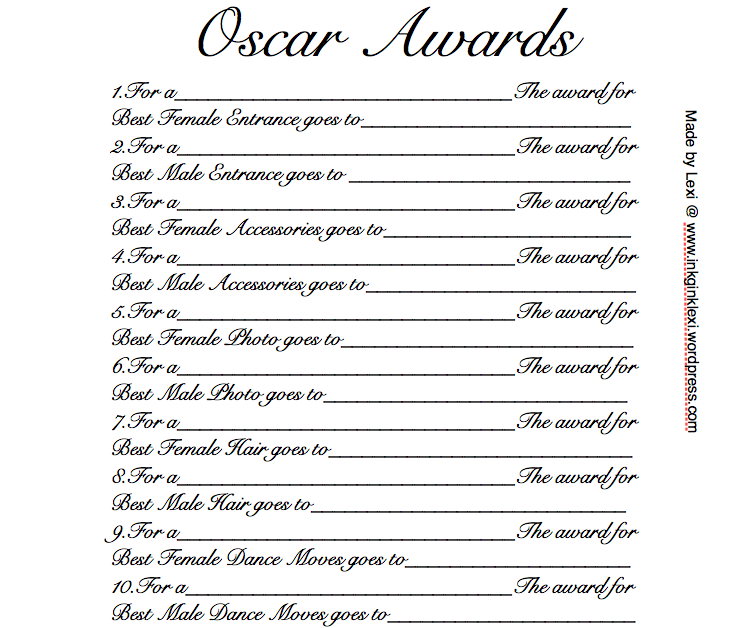 So I came up with a few awards that you could win at a party without playing musical chairs. 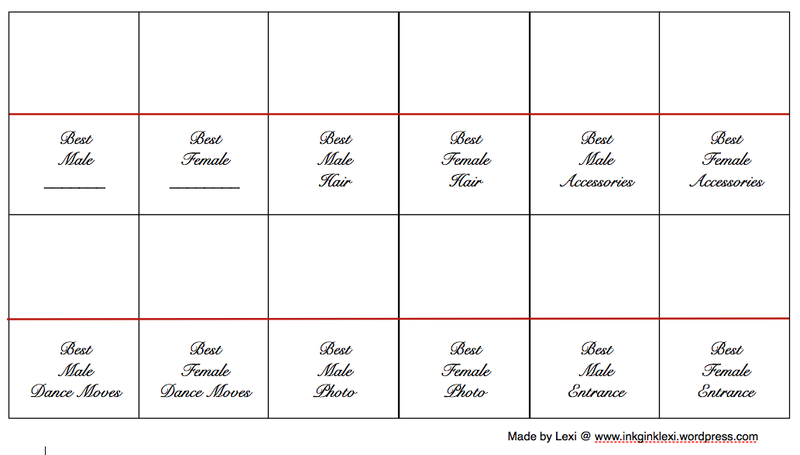 I will post the screen shots of what I’m using to list and read the awards with underneath, then I’ll do an example so you can understand how to fill it out. Also to match there’s a little “plaque” sort of thing where you cut on the BLACK lines (not the red) and the fold each “plaque” along the RED line. Then on a table, you can arrange the trophies however you like and place the little “plaques” in front. Then, when each guest receive their award, they will get to keep their little “plaque” as well.